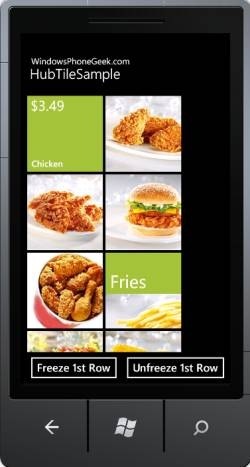 To begin with lets first create a new Windows Phone 7.1 application project and add a reference to the Microsoft.Phone.Controls.Toolkit.dll assembly in your Windows Phone application project. 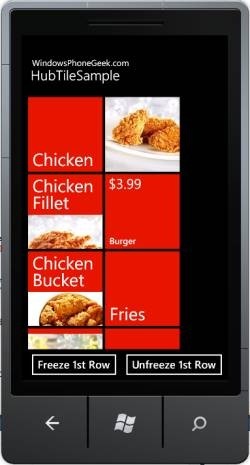 Alternatively you can select it directly from the “…Silverlight for Windows Phone Toolkit Source & Sample – Aug 2011Bin” if you have downloaded the “Silverlight for Windows Phone Toolkit Source & Sample – Aug 2011.zip” instead. NOTE: It is a good practice, from performance point of view, to freeze the animation of your tiles when they are not visible! 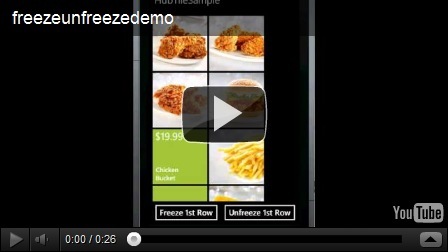 Use either IsFrozen property, FreezeHubTile(HubTile tile) or FreezeGroup(string group) methods of HubTileService! Example1: Freeze and Unfreeze multiple tagged tiles at the same time when having data bound HubTiles. This example demonstrates how to freeze and unfreeze multiple items simultaneously depending on a particular “GroupTag” through FreezeGroup and UnfreezeGroup methods of the HubTileService . We will use the data bound HubTile from the previous Part2 article and will add some freezing/unfreezing functionality to it. Step3. That is it just build and run the project. Now, when you tap the “Freeze 1st Row” button, the first two tiles (the tiles on the first row) that have their GroupTag property set to “TileGroup” should stop animating. Alternatively, if you tap the “Unfreeze 1st Row” button, the first two tiles should resume animating. Example2: Freeze and unfreeze a single HubTile. Step1. 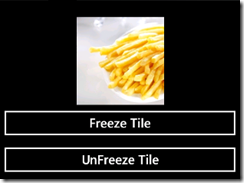 Add a HubTile and two buttons which will be used for freezing and unfreezing the tile. Now, when you tap the “Freeze Tile” button, the HubTile should stop animating. 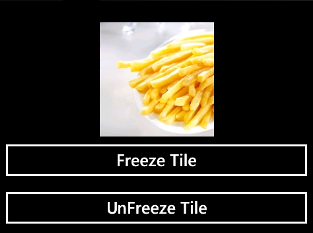 Alternatively, if you tap the “Unfreeze Tile” button, the tile should resume animating. author.I will always bookmark your blog and will eventually come back down the road.